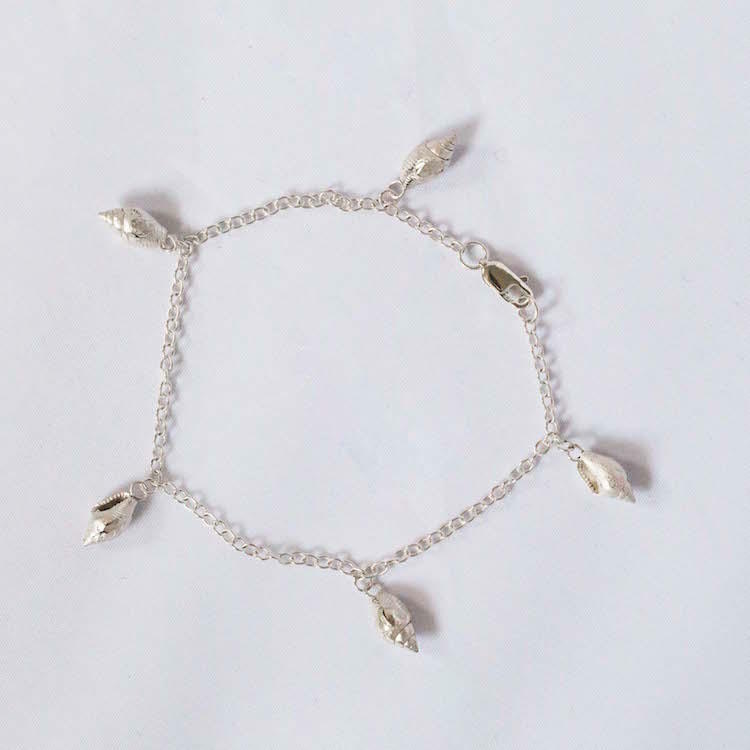 Pretty handmade charm bracelet with 5 small tulip shells evenly spaced over a 19cm sterling silver chain. 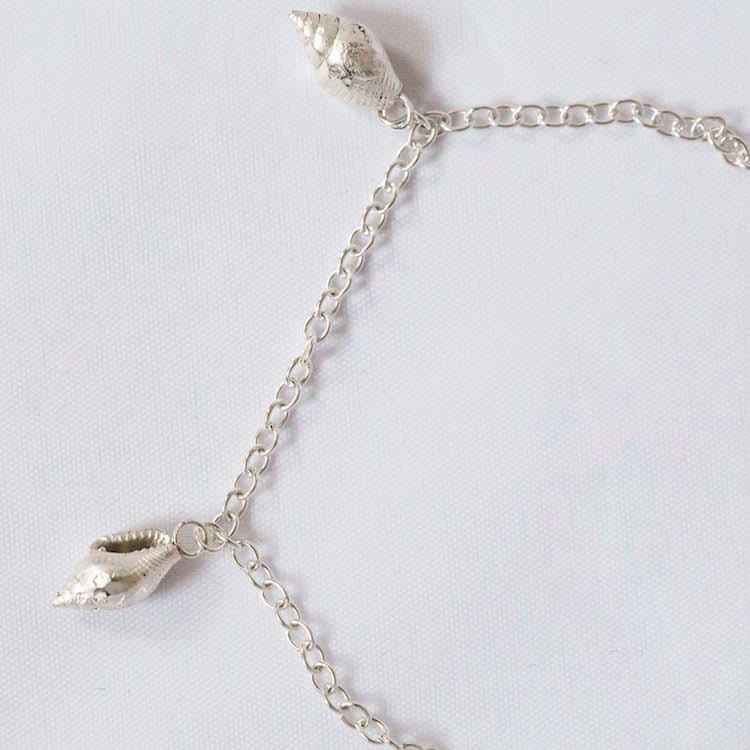 Fits most sizes, please request a different chain size if required at checkout. 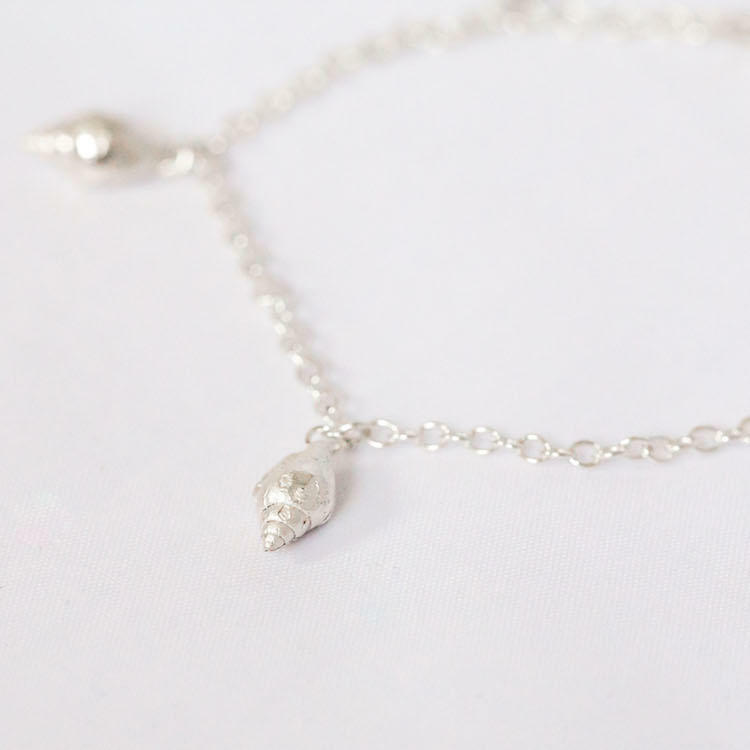 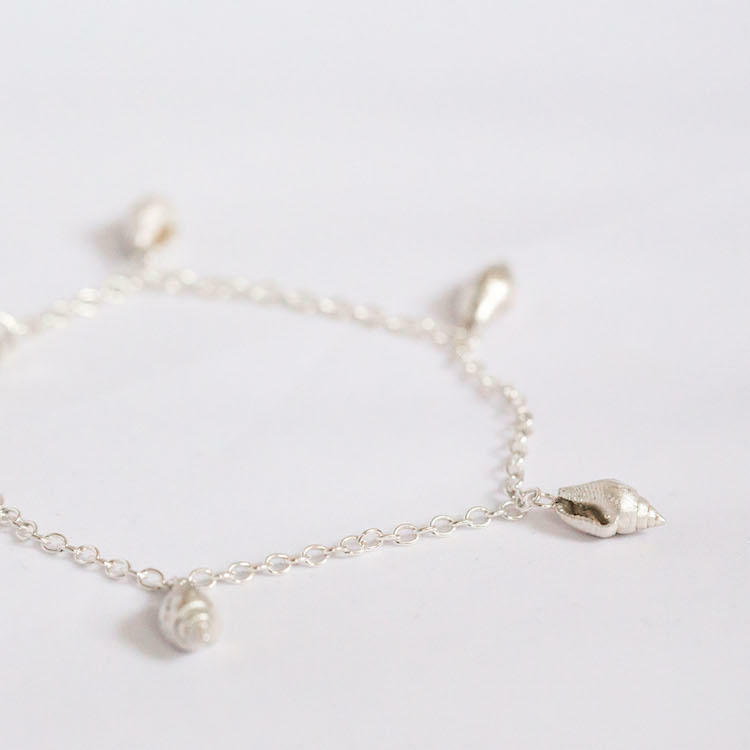 Shells are 1cm long and cast from eco silver. 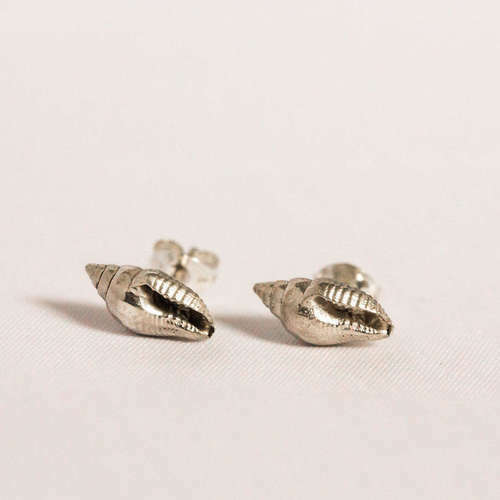 Makes for the perfect gift for any beach lover. 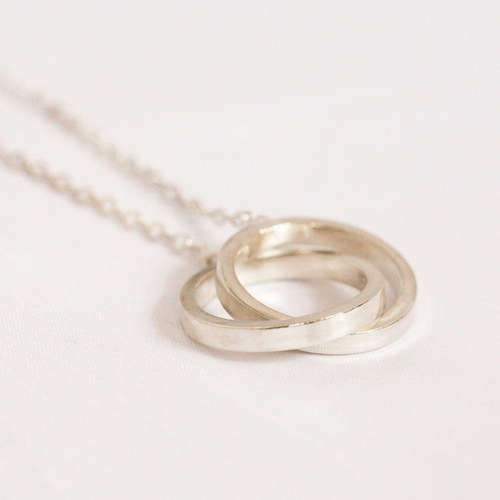 Materials - Recycled 925 sterling silver and sterling silver chain.